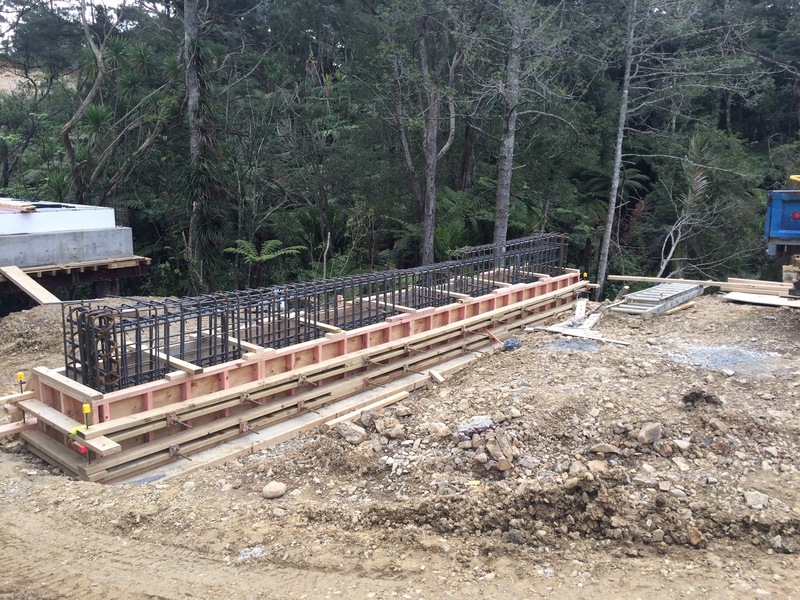 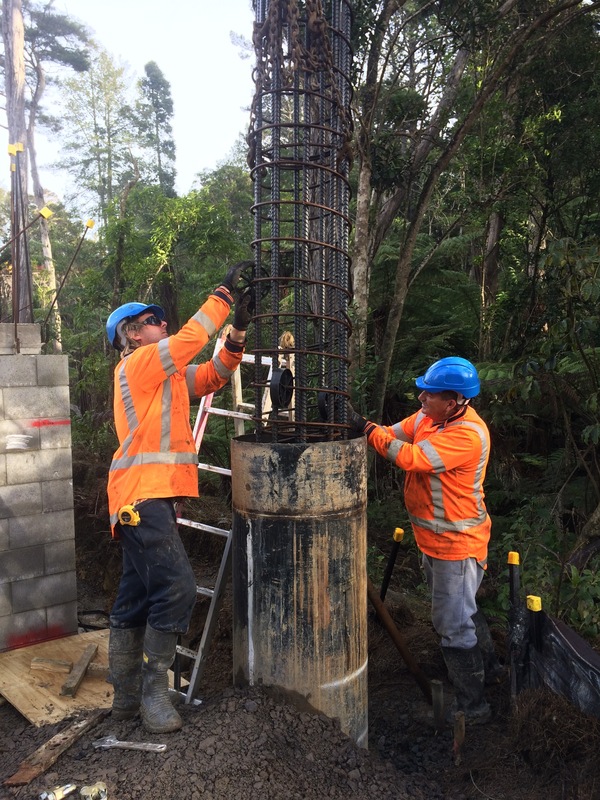 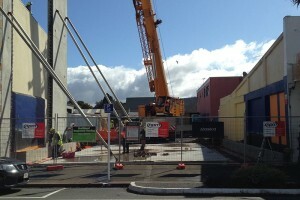 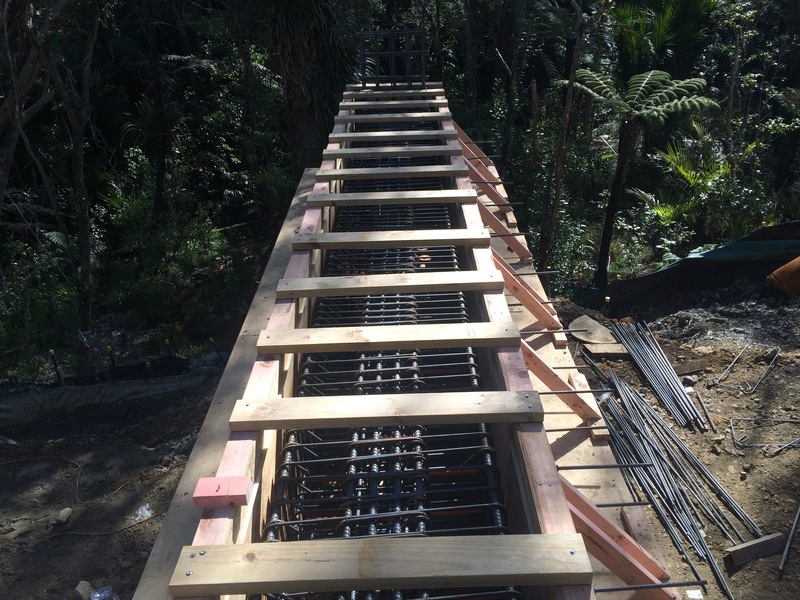 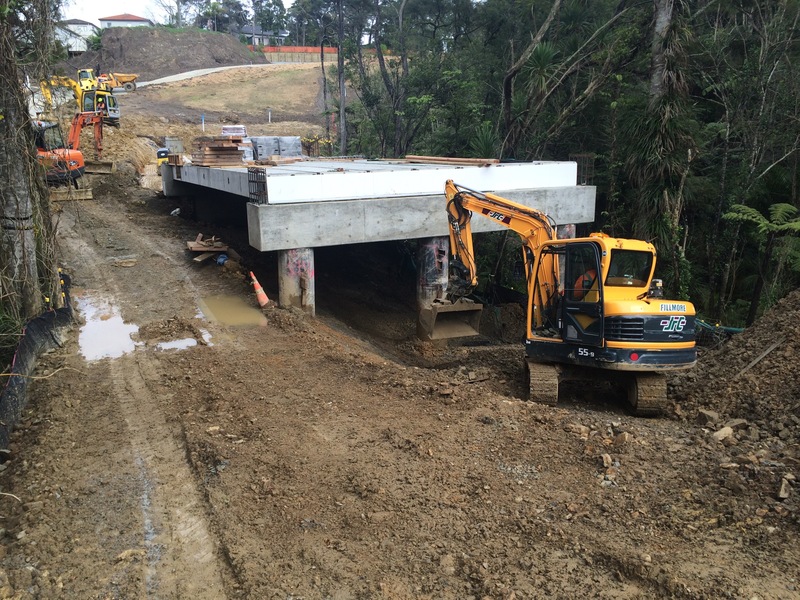 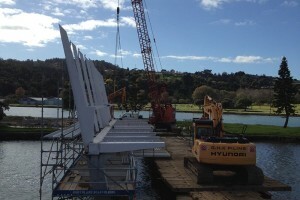 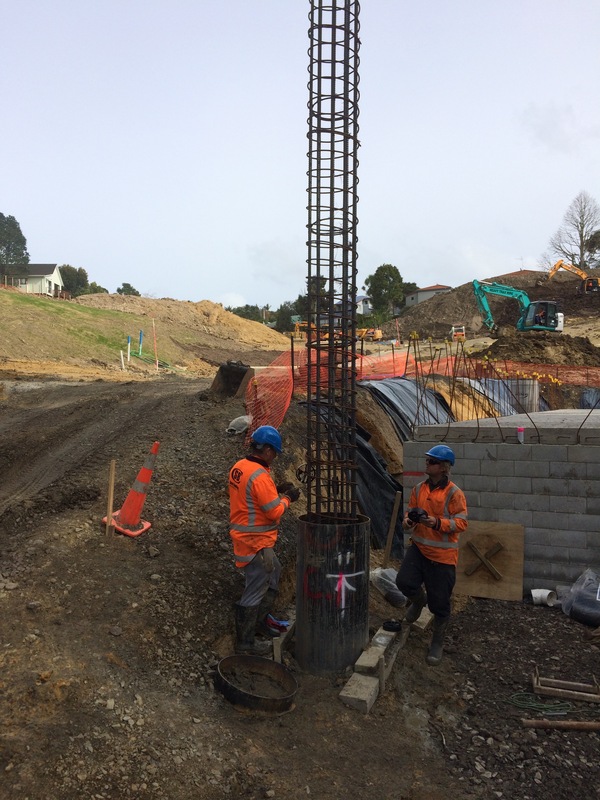 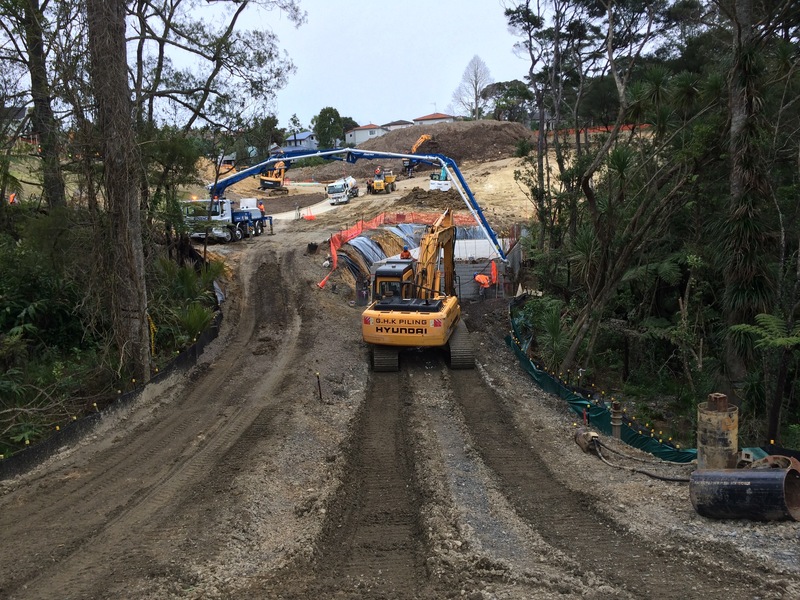 GHK Piling were contracted to construct a bridge as part of a 28 lot residential subdivision in Northcote, Auckland. 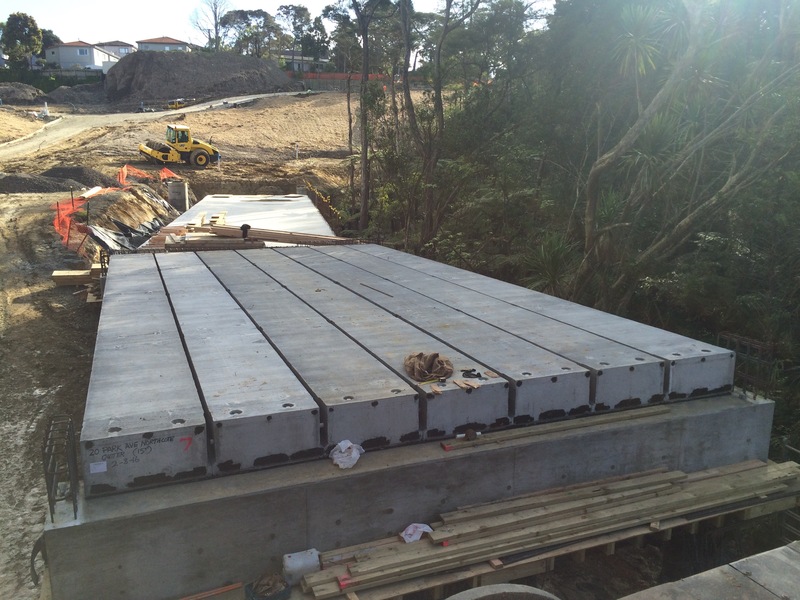 The bridge is a single lane vehicle & pedestrian bridge constructed of reinforced concrete piles & abutments, precast & prestressed beams, concrete deck slab & guardrail. 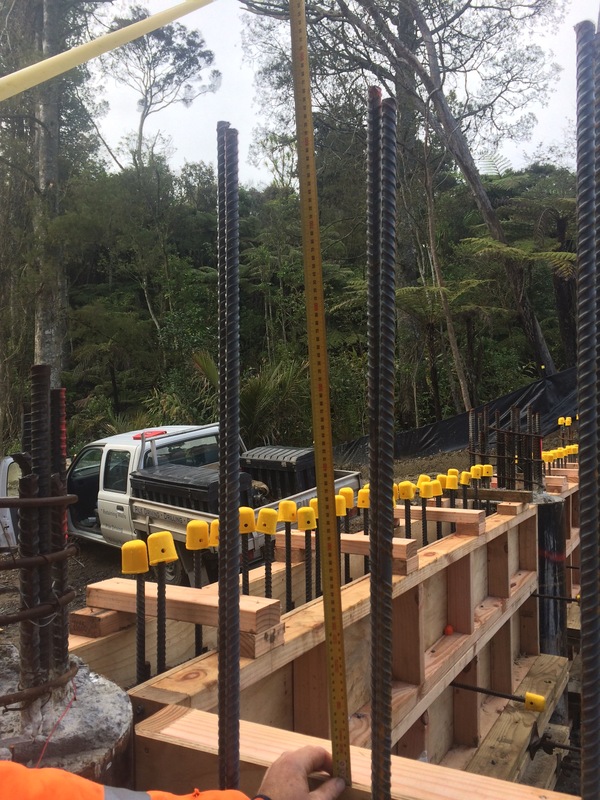 The challenges on this job included the limited site access, the steep terrain and the hard drilling & coring of basalt rock. 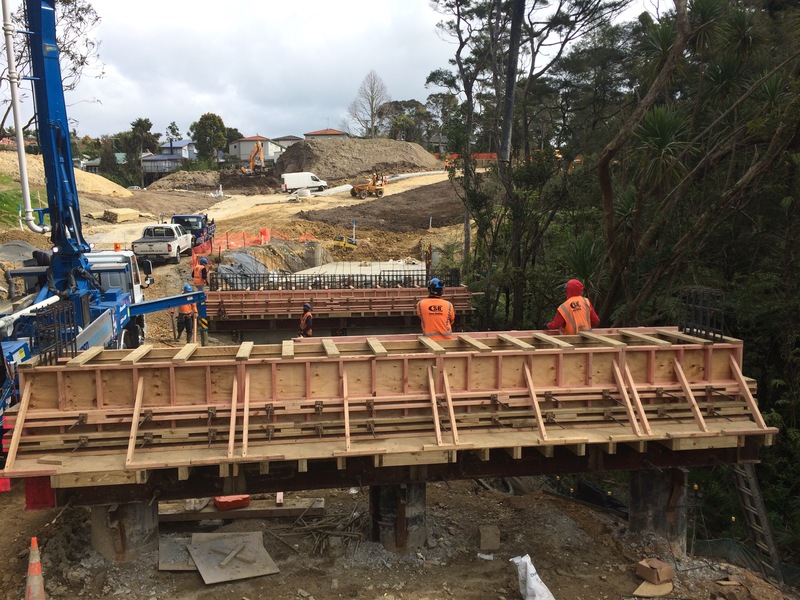 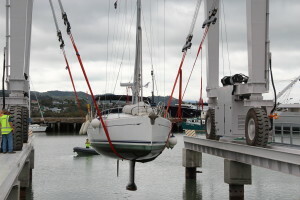 With heavy specialist machinery including cranes for lifting in the bridge beams, we were able to make sure that all aspects were carried out safely with no incidents.